For those who suspect that they may suffer from a certain type of skin allergy, it is a good idea to gather some basic information on what they are and how they are caused. This should then be followed by a visit to your doctor or an allergy specialist and dermatologist, who can then run an allergy skin test. Eczema is a condition that normally manifests itself as dry and itchy skin, often appearing red. Sufferers will tend to scratch themselves a lot which can end up damaging the skin, as well as drawing blood and causing constant bleeding. The location of eczema can end up changing with age, and it can often go dormant for years before turning up now and then in varying stages of severity. 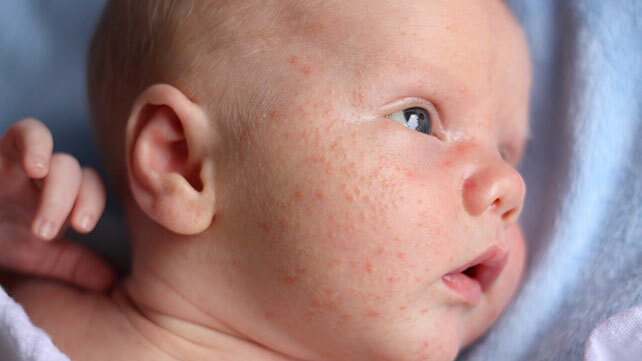 Children, in particular, who are prone to dry skin will sometimes suffer from this. Tests for eczema are normally carried out by allergists. Patients will have to provide information on the kind of soap that they use, as well as any other kind of skin products or substances that their skin may have theoretically come into contact with. A “prick test” will usually be carried out whereby the allergist will put a diluted form of the potential allergen into a puncture on the skin. The area being tested will then be observed for fifteen minutes in order to see if anything has happened. If a bump or a flare forms, then the allergen is the likely cause. Hives are another symptom which comes in the form of welts on the skin. There are lots of different triggers that can cause these. Reactions can be caused by specific types of medication, substances like latex and certain kinds of foods like shellfish, eggs or nuts. When it comes to diagnosis, allergists will normally carry out an allergy skin test in order to figure out the exact cause. Other tests involving blood and urine may also be necessary. Prevention of hives will usually depend on the cause itself. If it happens to be a specific kind of food then the advice would be to avoid it. If hives are caused by insect bites, patients should probably try to avoid going to places where those insects are. However, this isn't always a practical solution and in that case, certain types of allergy medication will be prescribed. What is Allergic Rhinitis and Understanding Its Treatment? Do You Possess Allergies? You Have to Read These Tips!